Moreover, educational technologies facilitate the shifting from a traditional educational paradigm –centered on the figure of a masterful instructor– to an emergent educational paradigm which considers students as active and central actors in their learning process. In this new paradigm students learn, with the help of instructors, technology and other students, what they will potentially need in order to develop their future academic or professional activities. The instructor’s role is, therefore, moving from one related to a knowledge transmission agent to another related to a specialist agent who designs the course, guides, assists and supervises the student’s learning process. 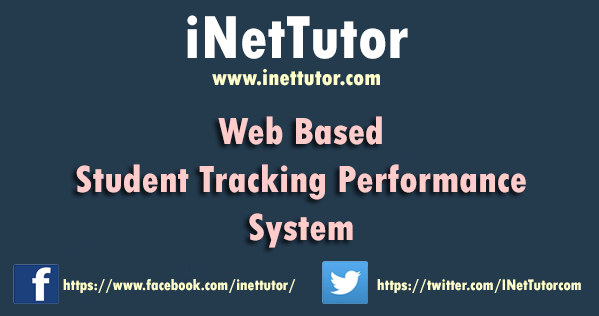 Student Tracking Performance System is a system that will help k12 education system which is newly implemented educational system in our country. In this study, the researchers aim to develop an effective educational material for the teachers and students in teaching and learning, which would facilitate the teaching and learning of the different subjects and topics covered by the k12 program. The software will developed to assist the students in their learning process and provide them an instructional material that can be accessed through the school’s Intranet or via online. The proposed software includes important features such as log-in/log-out services, tutorials, lesson drills, test evaluations, electronic glossary of terms, database maintenance, and help assistant. The purpose of developing A Web Learning Platform for k12 education system is to precisely monitor the performance of the students. And being use by parents to view the performance of their students and can help the teachers quickly process the student’s performances. Parents can give comments to their students as well. We develop this system because as the students of IT department we can see that using their manual platform is slowly to process. Students. Their activities, quizzes, assignments, grades and performance will be kept in an orderly and organized manner. Teachers. It will be easy for them to handle the files of their students and their work will be easily and quickly as they never expected. And it is also for the safety of their files because it will be done in a systematized manner, there will be back-up and security program. Parents. It is easy for them to know the performance of their child through this system. It can help them in learning on how to use the computer. The general objective of this study is to develop the Student Performance and Tracking System to improve access to advanced educational experiences by allowing students and teachers to participate in remote learning communities using personal computers; and to improve the quality and effectiveness of education by using the computer to support a collaborative learning process. To allow the students and teachers to create an online discussion(s). To allow the students and teachers to communicate privately using private message. To allow the teachers to post the notes of the subject for the students and to allow the students to download the notes or activity. To create a paperless classroom with quizzes and assignments. 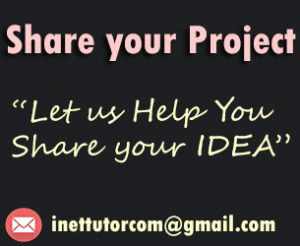 To allow the students to submit their assignments or requirements on the given time even if they are not in the classroom. To allow the teachers adding and removing subjects that are needed or required in their course. To create a user friendly interfaces for the students and teachers. The study will focus on the development of Online Student Tracking Performance System. It covers selected subjects and areas under the k12 program, the reason is that k12 program has a lot of programs and areas covered. The system shall be installed in the intranet or can be uploaded to the hosting server so that students, parents and teachers can access the system. The database maintenance will focus on adding, editing, and deleting teachers and students account; maintaining and managing table entries of student progress report and user’s log; and monitoring of user’s activities in the system. Modifications of the lessons and its related media in the system shall be done by the teachers. The other features can be retrieved by students over the schools intranet or online. Tests, assignments and lessons shall be accessed by the students. Teachers can add, edit, and delete test questions in the proposed system. The features of the system will focus on log-in/log-out services, tutorials, lesson drills, test evaluations, database maintenance, and help assistant. Quickly analyze data and identify the progress and gaps in student and class performance. Adjust instructional choices to push students toward achieving mastery. Motivate students to work hard by showing them their progress and what they can do to improve.